Following a successful tour to China, representatives from Toronto Film School returned with news of a new collaboration with the number one film school in China, the Beijing Film Academy. With an eye to enriching the learning experience of students at both the Toronto Film School and the Beijing Film Academy, the schools have resolved to collaborate on student and faculty exchanges, visits and workshops and have also committed to discussing future program opportunities. 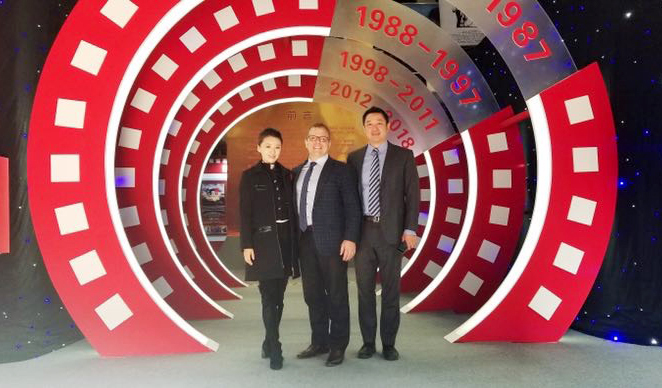 From the Beijing Film Academy’s Faculty of Performing Arts, WEI, Wei (Vivian) with VP Marketing and Enrollment, Walter Lee and Richard Zhu, Toronto Film School’s Director of International Cooperation. 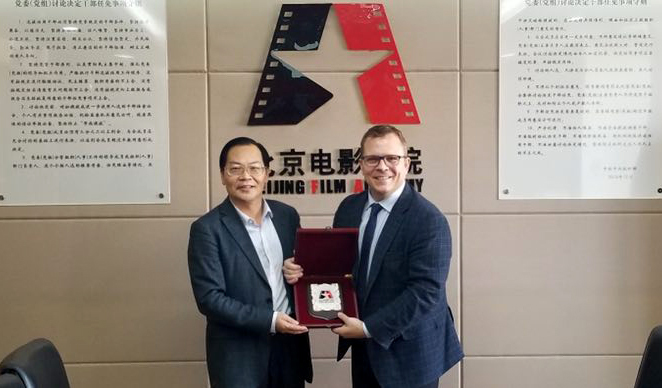 VP International at Beijing Film Academy, YU Jianhong with Toronto Film School’s VP Marketing and Enrollment, Walter Lee. Both the Beijing Film Academy and Toronto Film School recognize that creative collaboration and cultural exchange is an exciting reality in today’s film industry, Lee explained.